Doesn't this picture look like me? There are pictures of my relatives ALL OVER the internet ! 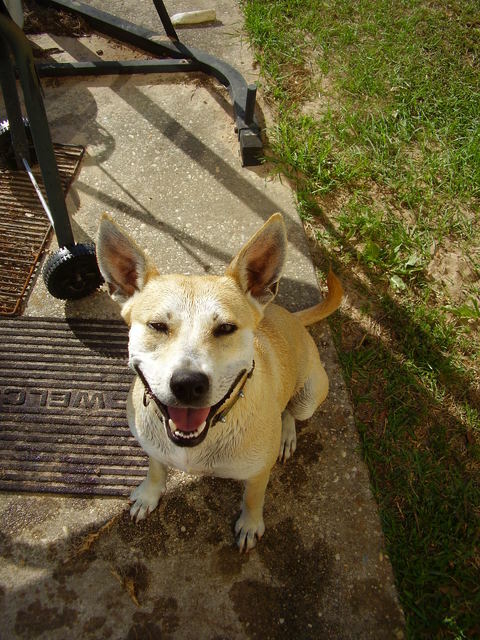 Carolina Dogs have muscular, medium-sized frames covered in short coats that come in tan, black & tan and off-white. They have wedge-shaped heads with pointed ears, long muzzles and dark, almond-shaped eyes. Their strong necks lead to narrow chests, straight backs and thick tails that either hang low or curl in a hook. Overall, Carolina Dogs have a ruggedly handsome look. 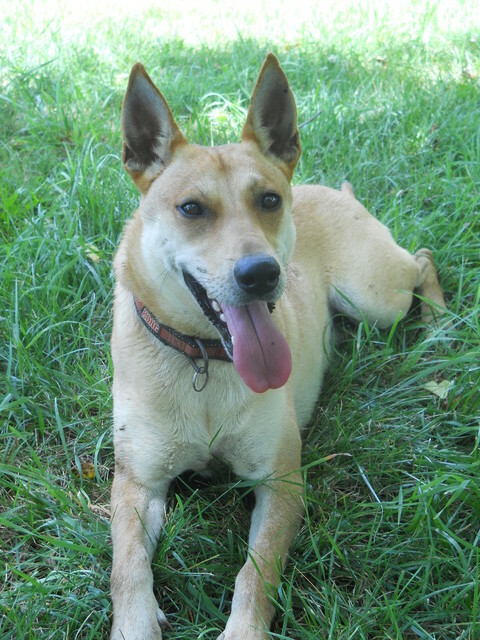 Carolina Dogs can live as long as 15 years with relatively few genetic health issues. They are fairly easy to groom, needing only an occasional brushing. Carolina Dogs are used to fending for themselves in the wild. For this reason, they might not be happy living in apartments. A large, fenced yard is ideal. They also appreciate long hikes in the woods. When in public, always keep the Carolina Dog on a leash. Discovered in the American South, Carolina Dogs are believed to have descended from Asian 'pariah dogs' brought to North America across the Bering Strait 9,000 years ago. Much more recently, a University of Georgia professor discovered these Dingo-like dogs living in a remote area of South Carolina. Some historians have noted that the bone structure of the Carolina dog resembles the dog bones found in American Indian burial sites. Carolina Dogs In the news! Wait, is that me in someone else's yard??? ?